The sun set on Sunset Bowl in northeastern Hendricks County awhile back, but new ownership and a slew of renovations have brought sunshine back to the bowling community in the form of Sunshine Bowling Center and All-Sports Pub, located at 10809 E. U.S. 136, a little bit east of Lucas Oil Raceway and Hoosier Athletic Center. On our way to the Hoosier Athletic Center in Brownsburg a few weeks ago for a youth softball tournament, we noticed what looked like a brand-new bowling alley near Clermont, just inside Hendricks County. My daughters love to bowl, so after signing up for the Kids Bowl Free program, we decided to explore Sunshine Bowling Center. Upon our arrival, we discovered that it actually isn&apos;t a new building -- it&apos;s the former Sunset Bowl, but with a massive facelift inside and out. The outside of Sunshine Bowling Center is so well done that it looks like a new structure, and the entry way is loaded with beautiful woodwork. Once inside, patrons walk on brand new carpet toward 16 auto-scored lanes. The lanes are refurbished, well maintained, and sport a beautiful shine. The friendly clerk behind the counter retrieved some bowling shoes for my elementary school daughters, put the bumpers up on our lane, and provided them with an age-appropriate bowling ball. I typed the girls&apos; names into the computer, and they began their epic two-game bowling battle. 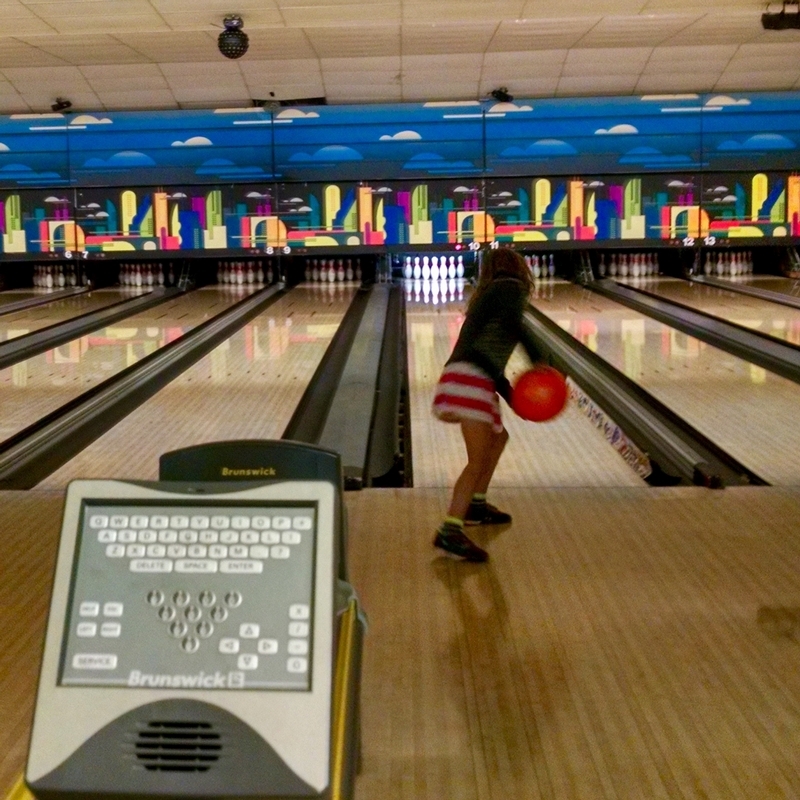 While my daughters determined the newest household bowling champion, I wandered around Sunshine Bowling Center, making a beeline toward the All-Sports Pub. 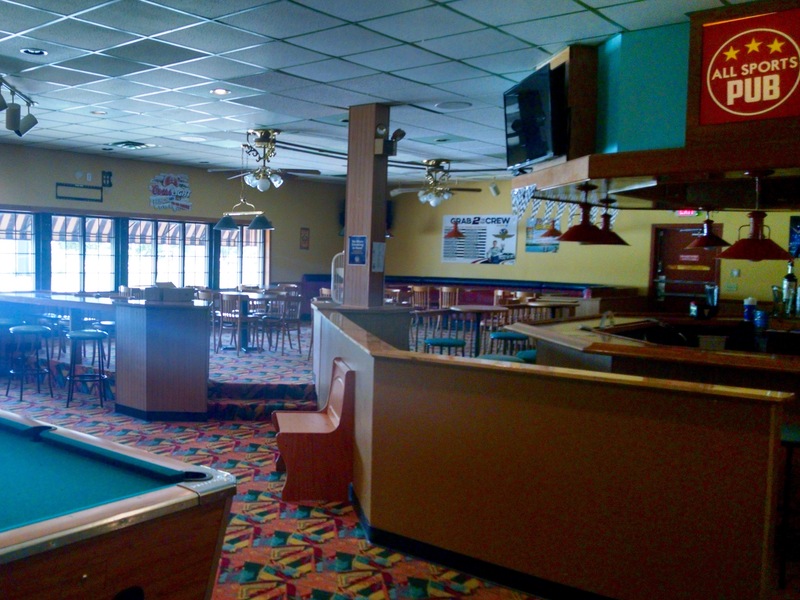 Inside, I found two brand new pool tables, plenty of seating and a fully-stocked bar. The clerk told me that they have set the All-Sports Pub up to be family-friendly until 9 p.m., so minors are welcome to come into the pub to play pool and have a meal, as long as they don&apos;t belly up to the bar. What used to be the game room in Sunset Bowl has been converted into a party room at Sunshine Bowling Center. It&apos;s the perfect place to have a birthday party, some corporate training, or a fundraiser, as recently occurred for the Brownsburg Girls Softball League, featuring a performance by comedian Dave Dugan. Sunshine Bowling Center offers birthday party packages, fundraising options (I absolutely love local businesses that give back to the community! ), group packages and a place for daycares, preschools and day camps to entertain the kids, in addition to the staples of a bowling alley: leagues, Jackpot Bowling, Sunday Sweepers and open bowling. Sunshine Bowling Center is smoke-free, bright and colorful, and the staff is very friendly. There is lots of parking out front, the bathrooms are clean, and there is plenty of space inside in which to mill around and chat with friends. The food prices are great, too. A hamburger is just $4.25, a 14-inch cheese pizza is only $8.50, with a 14-inch pizza with the works only setting you back $12.25. In addition to burgers and pizza, they offer grilled cheese sandwiches, BLT&apos;s, mozzarella sticks, nachos, pretzels and cheese, breadsticks and more. Any bowler of any age should be able to find something good to eat there. We had a great time at Sunshine Bowling Center and All-Sports Pub -- my oldest daughter even bowled her first-ever strike there, without the ball hitting the bumpers! Take the family and check it out for yourself. You&apos;ll find nothing but sunshine there.